A group of employees from Tutco, Inc. of Cookeville recently completed a service project at Teen Challenge of the Upper Cumberland. The group provided materials for and constructed a pavilion near a pond on the non-profit’s Livingston campus. The pavilion will be enjoyed by residents of the long-term Christian discipleship program for those with life-controlling issues. 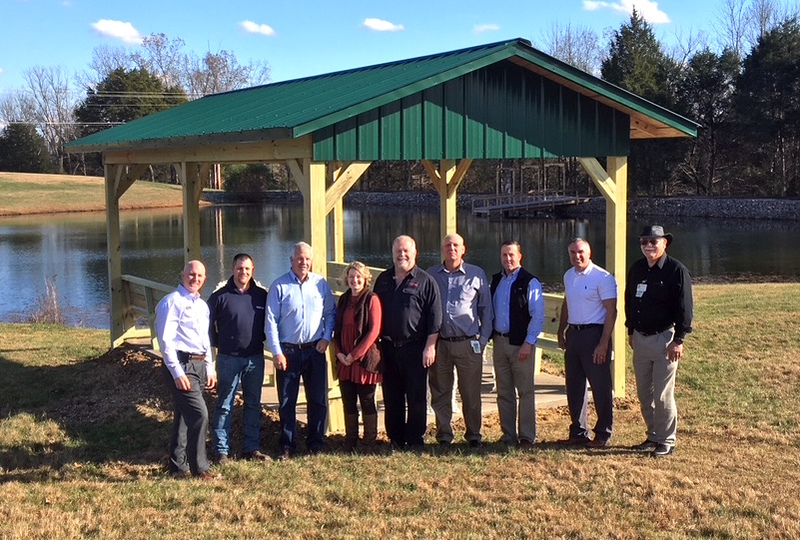 Pictured here at the completion of the project are (Left to Right): Pastor Tim McLauchlin(Teen Challenge Executive Director) and Tutco Employees: Paul Bunch, Hank Clark, Angela Bruce, Donnie Mayberry, Rick Lineberry, Pat McCaffrey, Dane Owen, and Dewayne England.